Lightroom is great - when you understand it's hidden secrets. Do your RAW files look flat and lifeless when you import them into Lightroom? Does your newly imported image file match what you saw on the back of the camera? Do your Lightroom edits give you the best possible image? You shouldn't have to do ANYTHING with your image in Lightroom to get it to match the preview on your camera. BUT, you have to have Lightroom set up correctly first. Don't get stuck in a rut for eternity. 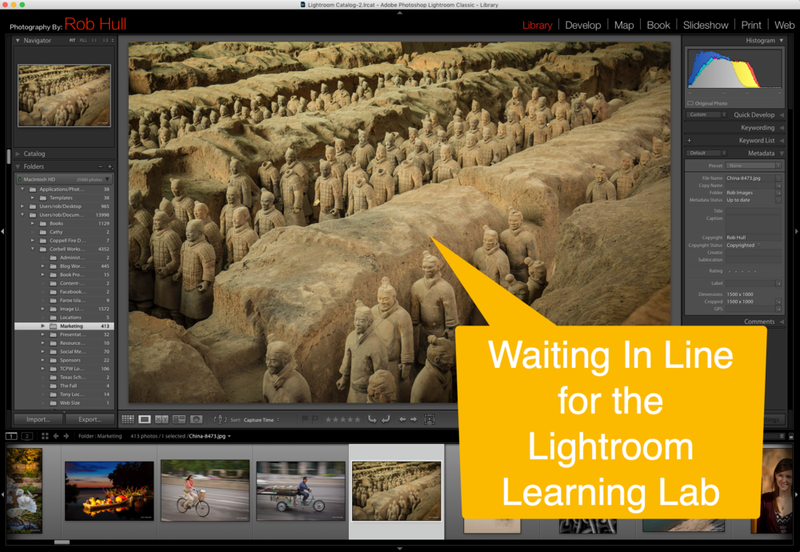 Learn how to make Lightroom work for you! The cost of this awesome event is only $350. But wait. There's more. Register with a friend - or friends - and EVERYONE in the group saves 25%! Just bring one friend and you're saving over $160!! Check out our website for more details about the workshop and to register. You will not want to miss this opportunity.